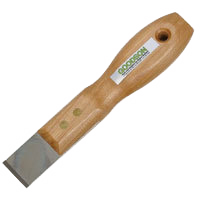 A special scraper with a carbide tip that can clean off just about anything. This is one of the best hand held tools for scraping flat surfaces clean, such as block and cylinder head deck surfaces. Excellent for prepping surfaces before gasket installation.